Designed by Arka Design. 4 leg frame is available in a chrome (C), Stainless (S) or painted (P) finish. Sled Base, Pedestal Base, Swivel Base Chairs & Swivel Barstool only available in chrome. Stackable Barstool available in painted aluminum finish or chrome. 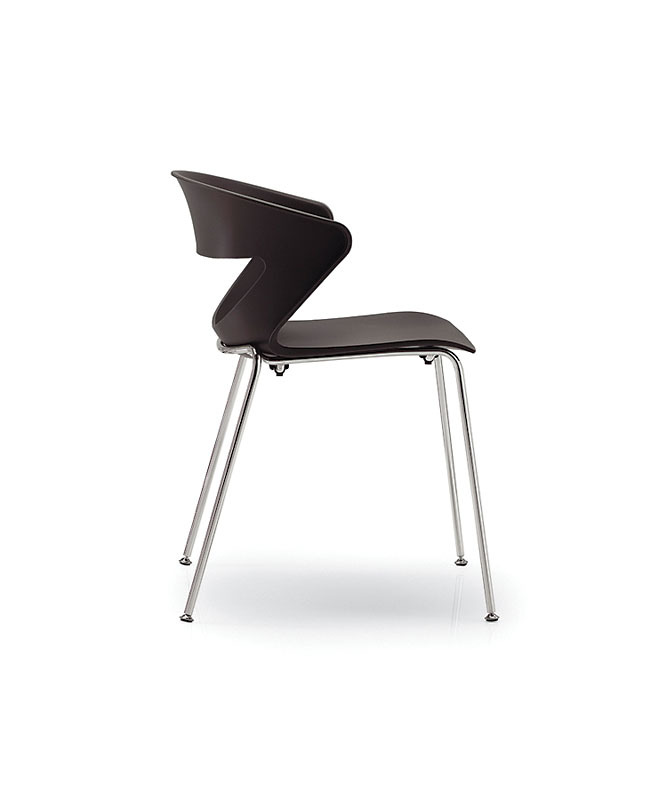 Task Chair offered with a durable painted base (aluminum paint color). Chrome base available on special order at an upcharge. Upholstery panels available for seat only or seat and back. 'US' suffix for upholstered seat only, 'USB' suffix for upholstered seat and back. Please be sure to indicate shell color on your order. Back side of shell always visible. COM"Yardage: an upholstered 'seat only' requires 3/4 of a running yard. You can get two seats from that same running yard. An upholstered 'seat and back' requires 1.25 yards per chair. Call for specific yardage calculations based upon your total quantity.15 Lbs"W 21.25"" D 21.75"" H 30.00"" StH 18.25""